The Rural Health Information Hub (RHIhub) is the nation’s rural health information source. Website offers online library, coverage of rural issues, state guides, toolkits, program models, and more. Provides customized assistance by phone or email. Funded by the Federal Office of Rural Health Policy. The International Council of Nurses is a federation of national nurses’ associations (NNAs), representing nurses in more than 120 countries. Founded in 1899, ICN is the world’s first and widest reaching international organization for health professionals. Operated by nurses for nurses, ICN works to ensure quality nursing care for all, sound health policies globally, the advancement of nursing knowledge, and the presence worldwide of a respected nursing profession and a competent and satisfied nursing workforce. The National Nursing Consortium is an association of Nurse Managed Health Centers that includes: Nursing Centers, Managed Centers, Managed Care, Community Nurses, Wellness Centers, Community Health Centers, Nurse Managed Community Health Centers in the United States. These provide quality health care services to vulnerable populations and eliminate health disparities in under served communities. Healthcare Spanish - A free web resource that helps health care workers learn relevant medical Spanish phrases and terms. Its goal is to reduce language barriers between nurses and Spanish speaking patients. In addition to Spanish terms and phrases, the site also offers a weekly newsletter with bilingual anatomy charts. RNtoBSNOnline.com A comprehensive online resource for registered nurses considering a bachelor's degree in nursing. Their team has collected information you need to make informed decisions about your education. From selecting the right program to choosing a specialty and finding a job, this website has many answers to your questions. MSNProgramsOnline The organization has compiled a comprehensive state-by-state directory of colleges and universities in the US that offer Master's programs in nursing which are accredited by the Commission on Collegiate Nursing Education (CCNE) or the Accreditation Commission for Education in Nursing (ACEN), formerly the National League for Nursing Accrediting Commission (NLNAC). The site assists users seeking not only traditional BSN to MSN programs, but also RN to MSN programs and Direct Entry MSN programs. PhD in Rural Nursing at the Decker School of Nursing The purpose of the PhD program is to prepare nurse scholars whose focus is research and scholarship in the delivery of health care to rural residents. Graduates of the program will be able to study significant issues in nursing and generate theory which will extend the knowledge base of nursing in rural health care. 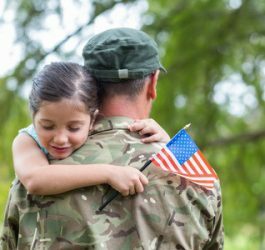 The National Center for PTSD’s Consultation Program The PTSD Consultation Program is free and offers consultation, continuing education, information, and other resources to providers who treat Veterans with PTSD. Consultation is consistent with evidence-based practices for PTSD. The Center’s consultants are psychologists, psychiatrists and other mental health professions who have an average of 17 years of experience treating patients. Providers can ask questions about treatment, medications, differential diagnosis, improving care for Veterans, resources, and more. Providers can take advantage of free CEUs and resources such as online courses, videos, and a monthly lecture series. Exceptional Nurse is a nonprofit 501 (c) 3 resource network committed to inclusion of more people with disabilities in the nursing profession. By sharing information and resources, ExceptionalNurse.com hopes to facilitate inclusion of students with disabilities in nursing education programs and foster resilience and continued practice for nurses who are, or become, disabled.